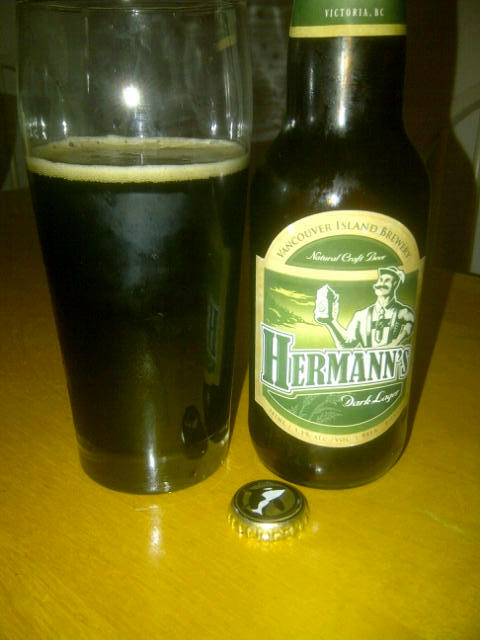 From Victoria BC’s Vancouver Island Brewery comes “Hermann’s Dark Lager”. This Lager is named after one of the breweries first brewmasters who was Bavarian and uses his German recipe. The beer pours a deep black with a brownish head. The smell of the beer is very malty with some coffee notes. The flavor of the beer is very high on the malts with some creamieness and coffee with a light hops hit. To me this beer is the Stout of Lagers! The beer sits at a 5.5% alcohol content. 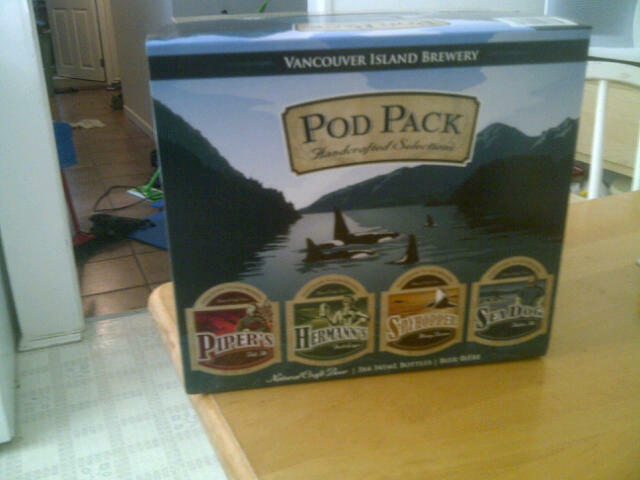 This beer won an award this year for top black lager in Canada or something to that effect. This is a very good black lager and I can not wait to pick it up again. 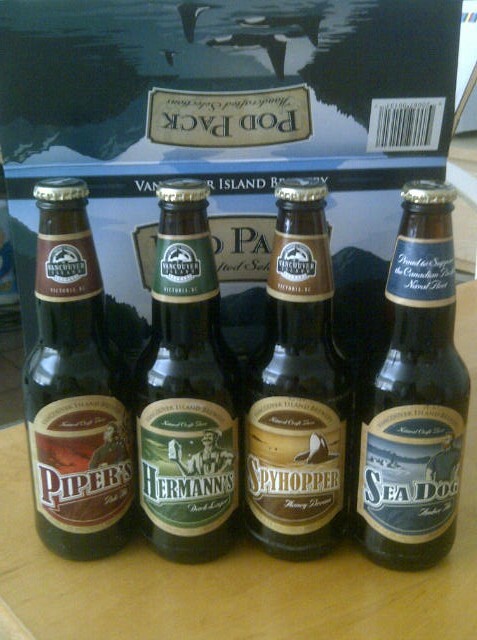 This entry was posted in Black Lager and tagged amazing, bc, beer, black lager, canada, coffee, creamy, dark, flavor, hops, lager, malt, malts, malty, tasty, vancouver island, vib, victoria.